Apart from being a time to feast and reunite with family, Chinese New Year is a festivity accompanied by a large array of customs and rituals. This significant holiday is also the time when the Chinese temples, or Klenteng, across Bali celebrate by painting the island red. 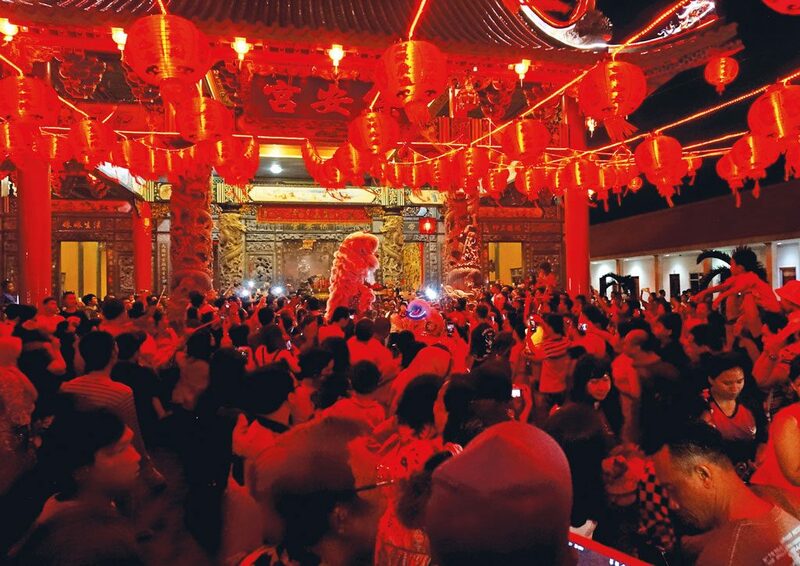 Among the highlights during Chinese New Year festivities to be observed in a number of Chinese temples on the island is the lion and dragon dances, where traditional dance troupes perform impressive, acrobatic feats with heavy props amid blaring noise. Drums, gongs, and firecrackers create chaos meant to discourage spirits with ill intent. 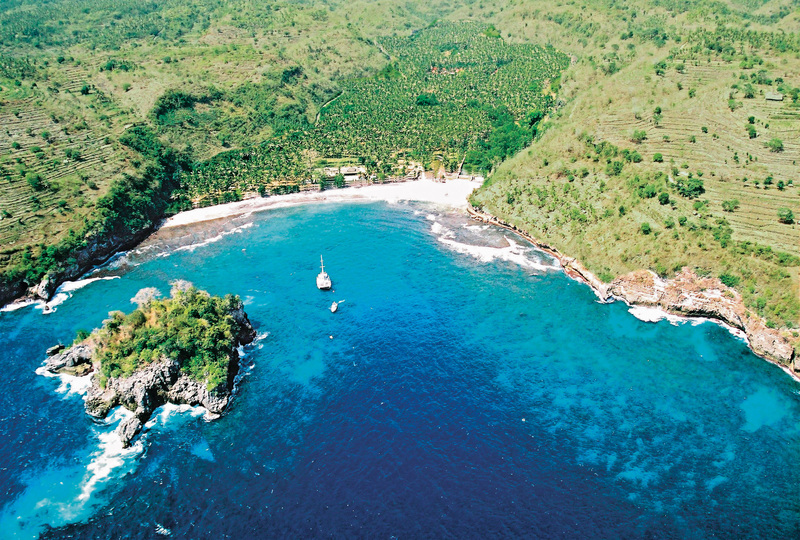 Bali has an interesting history, in which Chinese traders have long come to the island and settled. Now, many Indonesians of Chinese descent live and identify as Balinese here, part and parcel with the country’s unity in diversity. 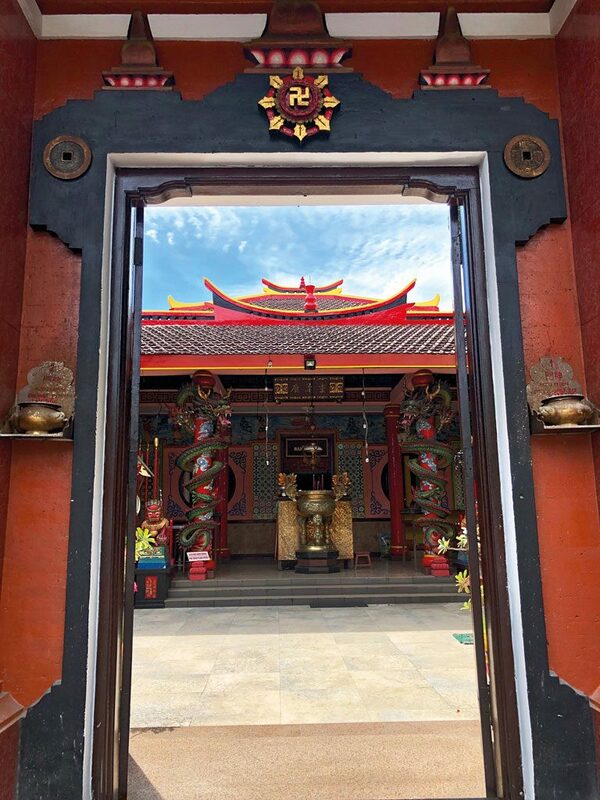 But before you put on your red attires and join the festivity, here we’d like to share brief stories about a number of Chinese temples, or locally known as Klenteng, to be found in Bali. 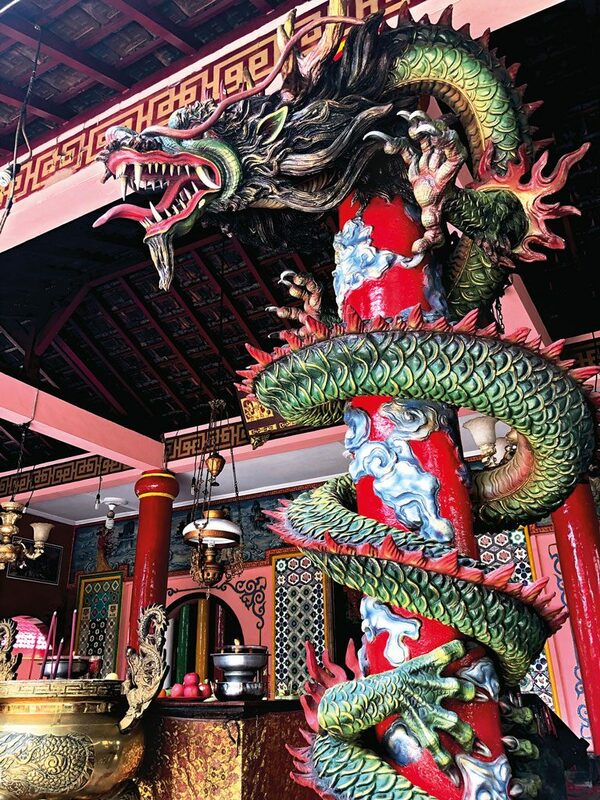 Nestled by the coast of Singaraja in North Bali, in an area that used to be a busy seaport during the Dutch colonial era, is the old Chinese temple Ling Gwan Kiong. This temple was built in 1873, upholding the Tri Dharma, the philosophy that blends Confucianism, Taoism and Buddhism, and a slight assimilation with the Balinese culture in terms of how the offerings are made. Ling GwanKiong is dedicated to Tan Hu CinJin, a holy man who is believed to have achieved moksha, the greatest afterlife achievement that liberates one from the cycle of birth and death, or reincarnation. The temple stands out with its authentic Chinese architecture. The construction of bright red, yellow, and green colours against white walls is a beauty to behold in the old shopping district of Singaraja. Inside the temple, the walls are covered with old paintings from the 1650s that tell the story of the Chinese tale of the Three Kingdoms called San Guo Yan Yi, or known in Indonesia as “Sam Kok”. The tale, written by Lio Guanzhong, is about an era when China was ruled by three warlords after the fall of the Zhuo dynasty. 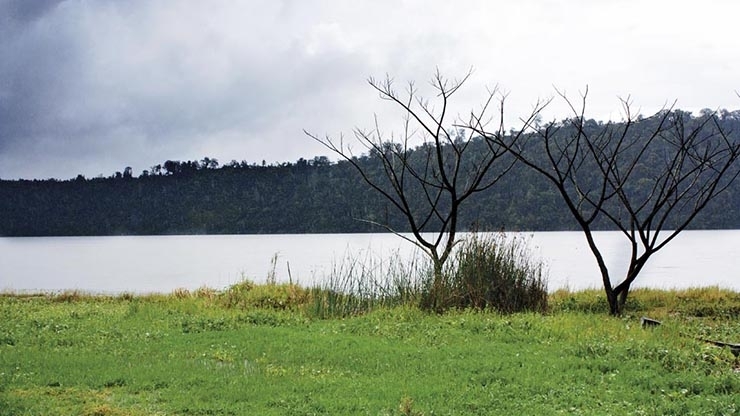 The paintings are annually restored by the descendants of the painters. 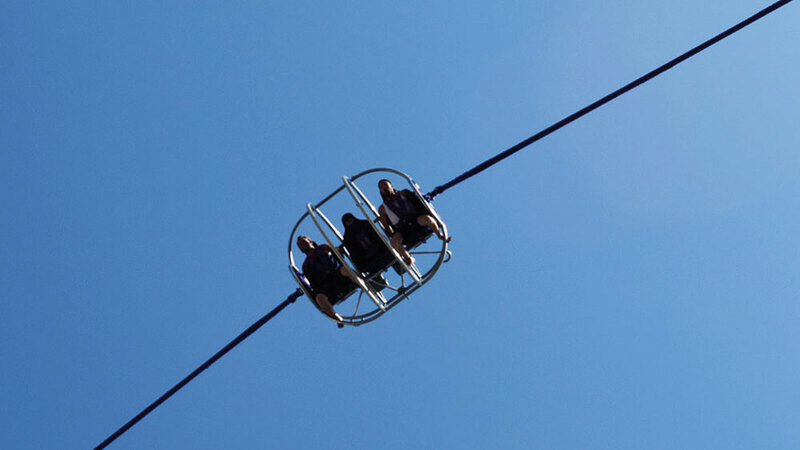 Traveling to Ling GwanKiong is an experience in itself, in addition to observing the festivities. With that being said, if you live on the island’s south and time is a constraint then look no further, for Kuta is also home to another Chinese temple, Vihara Dharmayana. Certainly a feast for the eyes, Vihara Dharmayana nestles quietly amidst Kuta’s traffic frenzy. This old Klenteng is one of the very few cultural landmarks to be found in Kuta, once visited by the 14th Dalai Lama, Tenzin Gyatso, in 1982. Anyway, bordered by red brick walls, the temple provides a calm ambiance, a completely different scene from the busy one-way Blambangan street where it is located, which is often congested with traffic. 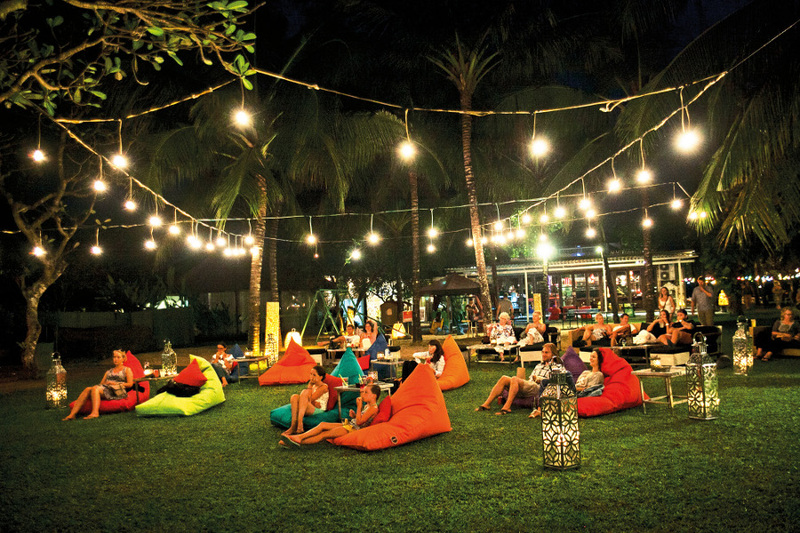 Vihara Dharmayana serves as a great opportunity to get a glimpse into the rich cultural history and diversity in Bali. It dates back to 1876, but despite its age the temple is very well-maintained. The temple’s architecture features intricate carvings adorned by quite a number of statues, all creating a striking sight with no apparent sign of ageing. Passing the gate and into the Vihara Dharmayana’s courtyard, you’ll notice the temple’s main structure in front of you, known as the Baktisala. This building houses large round lanterns hanging from the rims of its roof, which is supported by pillars wrapped by menacing dragons. The Dharmasala, a smaller structure next to the Baktisala is where family prayers take place in front of a series of relics, various Chinese deity figurines and a wall mural of the famous Borobudur temple. Moving on to the Benoa area on the way to Sanur, Vihara Satya Dharma stands majestic and is also Tridharma, the collective teachings of Buddhism, Taoism, and Confucianism. The Klenteng temple is dedicated to Ma Cho, the god and protector of the sea, making it frequented not only by the devotees living in Bali, but also international sailors especially due to its location that is just off the port of Benoa. 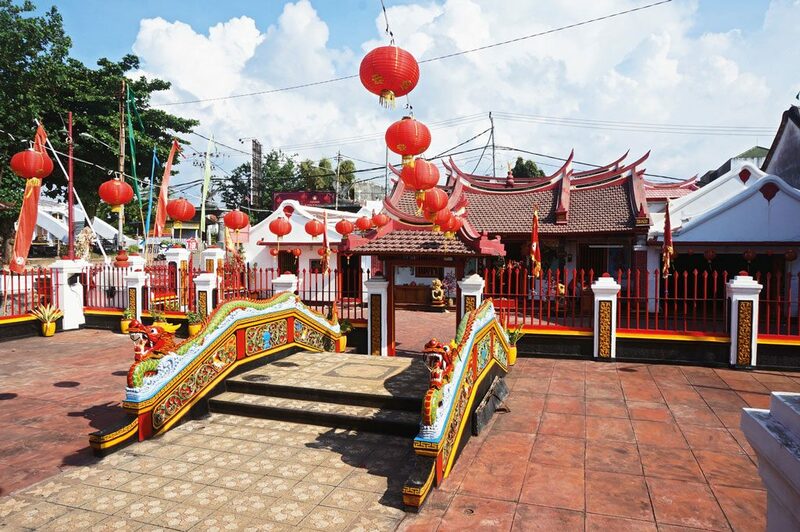 Come the Chinese New Year, this Klenteng will be decked out in full red – probably the most red of all Chinese temples in Bali. Bright red Chinese lanterns will occupy a good portion of the temple’s area, hanging and gliding from the edge of one roof to another. The constant wafts of incense smoke from the altars certainly add to the spiritual atmosphere at Vihara Satya Dharma, but the shoulder-to-shoulder crowd especially in the evening on the new year tells us that praying is not the only thing that will take place, for the temple will also put on a show to welcome the new year. That’s right. 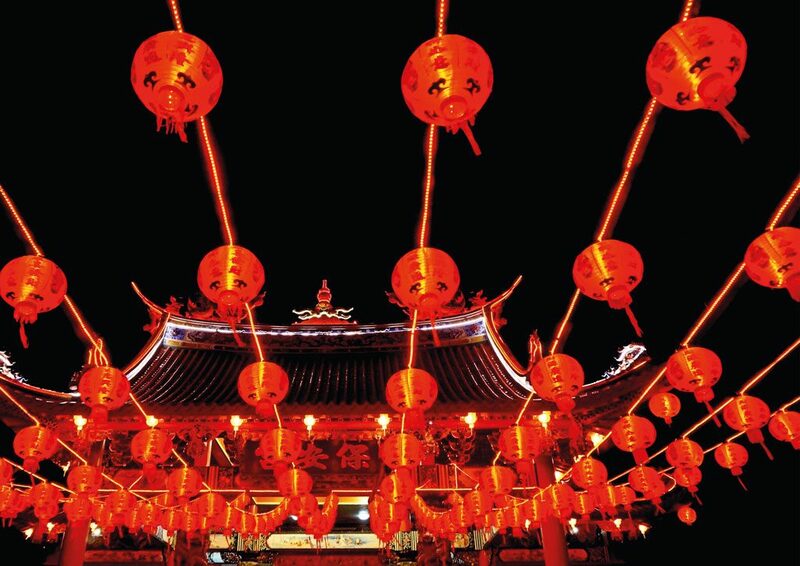 both devotees and visitors will flood the temple, for this special occasion provides ample instagram moments with it looking so dramatic in red, the colour which is considered auspicious and homophonous with the Chinese word for “prosperous”. And to distract the selfie moment is the sound of the drums, announcing the crowd to take place and make way for the lion dancers. All in all, though it’s somewhat less daunting to visit a Chinese temple than a Balinese Hindu temple, please make sure that you wear proper attire and respect the temple as a place of worshipping. A temple keeper usually stands near the outside altar, either folding joss paper for offerings or arranging incense sticks, and they can provide some useful insights into the temple and its history.